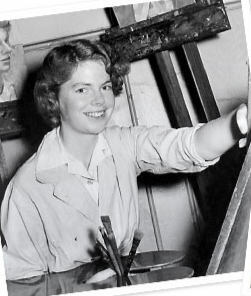 Joanna Jill Crockford was born in England in 1927. From an early age Jill knew her passion was to become an artist. Intent on leaving behind the difficult post war years in England, she borrowed enough money from her father for a one way ticket to visit her friend in South America. Jill travelled simply with just an atlas and her paints and she set about making her fortune as an artist. As fate would have it, on her very first night, she met a dashing young man, Jimmy Walker, and a life long love affair began. 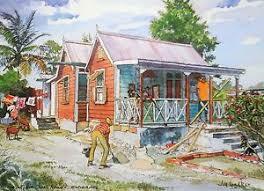 In the 1950s the Caribbean was a magical and idyllic place for the young couple, Jill a talented artist and Jimmy an ambitious architect. Jill fell in love with the culture, the surroundings and the people. Without even knowing it she was creating a record in water colours of a style of life that is slowly dwindling. Jill and Jimmy were married and they settled in 1956 in Barbados. Now, more than fifty years later, with three children, seven grandchildren, friends all across the island, many pets and several very successful gift shops; Jill could never imagine ever living anywhere else. If you ever get the opportunity to visit Jill Walker’s beautiful home and gardens, it is not to be missed. 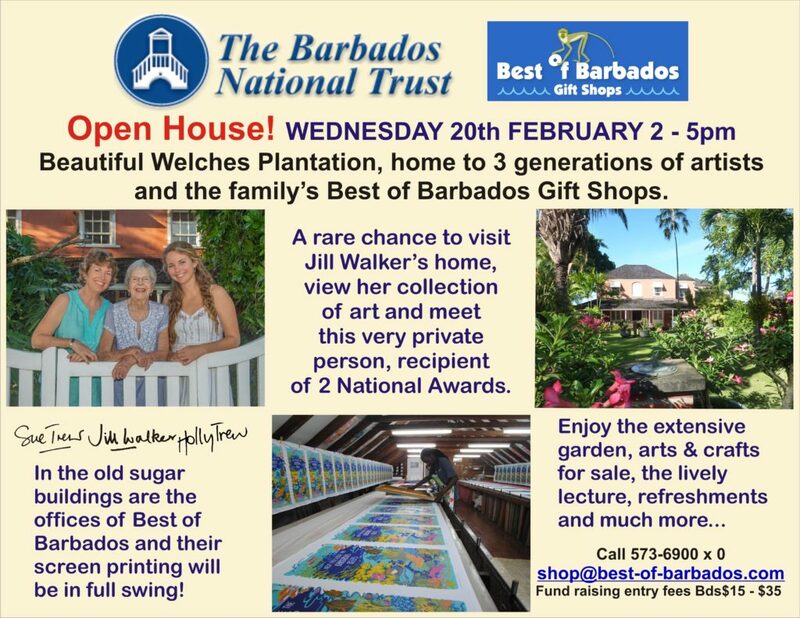 If you’re lucky you might be here on holiday and be able to enjoy an open house day via the Barbados National Trust. It really is a treat to see her beautiful collection of art and the fantastic 18th century plantation that Jill and Jimmy restored and turned into a beautiful family home. The gardens are superb with an extensive collection of tropical plants, palms and orchids. I really would recommend you fit it into your itinerary of things to do if you can. 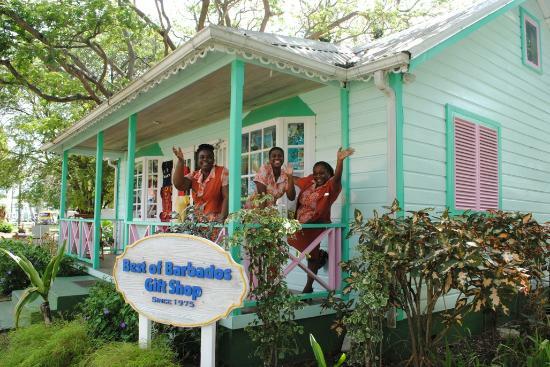 As well as being the Walker family home, the property at Welches is also the head quarters for the famous Best of Barbados gift shops. This is where those superb tea towels are screen printed by hand. It’s amazing to see them being brought to life from plain cotton to exquisite design, before your very eyes. The Jill Walker ‘dynasty’ now spans three generations, all gifted artists with their own unique style and passions. Jill Walker art is available for purchase along with signed copies of her beautifully illustrated books – a joy to give and to receive. You can view the catalogue of items online. You can also enjoy Jill’s work replicated on a wide range of household accessories such as table mats and trays. These are useful items that you can take home as a memento of your time in Barbados. Keeping the magic alive until the next time you visit! Contact us for more information. The Jill Walker Open House day is a special ‘one off’ opportunity – so try not to miss out!